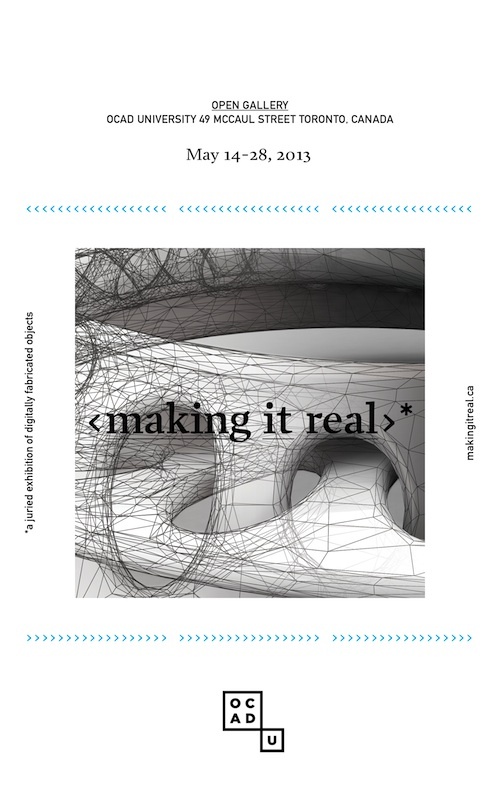 Making It Real is a juried exhibition of digitally fabricated objects curated by Jesse Jackson and Greg Sims. Virtual objects, submitted electronically from around the world are “made real” locally using a variety of 3-D printing technologies. Making It Real showcases innovative designs for jewellery, products, fine art, and other small objects that take maximum advantage of direct digital manufacturing.